The Wisconsin Bankers Foundation is developing and Beta testing an online resource center for financial education anyone can access – MyMazuma.com. Teaching children about smart money habits is something Amy loves to do. She believes developing financial literacy skills is so critical to life success that she formed her own enterprise, Gold Standard Financial Wellness Company, LLC., to live out her commitment and life purpose. 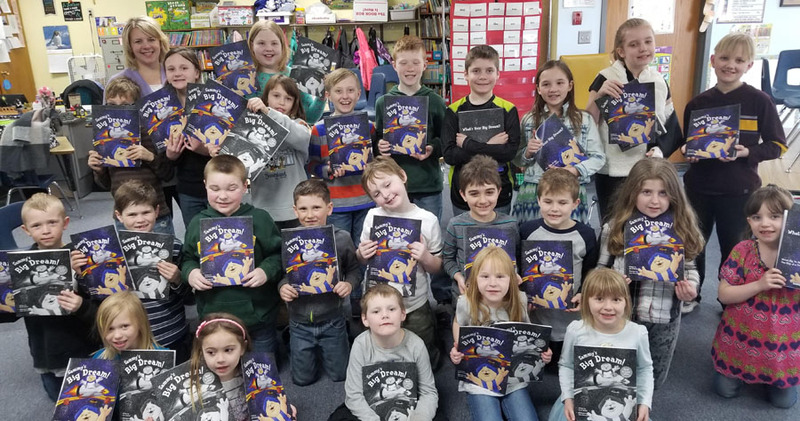 Last week Amy sponsored and donated Sammy’s Big Dream to K-4 grade students at St. John Lutheran School in Berlin, Wisconsin. She used the strategic resource to emphasize lessons on saving and giving with the youngsters. Here are a few of Amy’s thoughts from the field and classroom on the experience. Sam: What interested you in trying out and giving away Sammy’s Big Dream? Amy: I have always been searching for books that teach smart money habits. 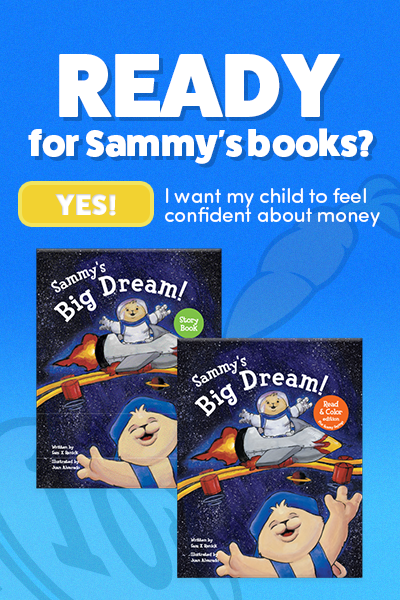 I love that Sammy’s Big Dream is interactive and has a coloring book to match. This gets children doing an activity that will only solidify the lesson about saving. Sam: Describe your experience at St. John Lutheran School? Amy: St. John has a special place in my heart since I attended that school K-8. The children there are caring and respectful. The love when a guest comes into the classroom to talk to them. The whole experience was very rewarding for me to give back to a school that gave me so much. Sam: What were the students’ reactions, if any? Amy: They all were eager to answer questions and share stories of how they earn money and where they keep it safe. Sam: What were the educator/administration’s reaction, if any? Amy: The teachers were grateful for the presentation and said it was a very good message for the students to hear. Sam: How did you feel and what did you think about the experience? Amy: I love seeing them think about money and get excited about it. I feel the message will stick with them. Sam: What prompted you to become involved in children’s financial literacy? Amy: I never considered myself an educator, but this topic really excites me. I want children to set themselves up for success with money. The earlier they start saving, the better off they will be. Sam: What prompted to you to pursue a career in financial education? Amy: It all started when I worked in banking. As a community bank, financial literacy was something they participated in. I was curious about the program and volunteered to go out on classroom presentations. I was terrified to talk in front of students. But after observing my colleagues, I quickly developed a passion for it. Although I love the students, I saw that adults were being missed and they needed better information. The idea for starting my own business providing financial wellness programs in the workplace was born. Sam: Is there anything else you would like to share? Amy: I also work as a Community Engagement Consultant for MyMazuma.com. MyMazuma is an online marketplace for financial education. It is for every one of all ages – where they can get answers to money related questions.